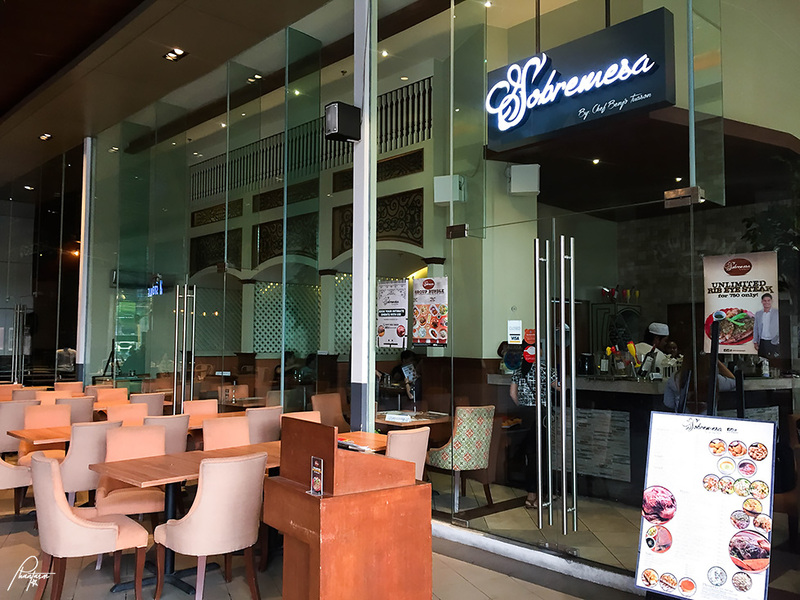 It's not my first time to dine at Sobremesa; I love to hang here with my friends because of the unlimited cocktails which start at 8pm. 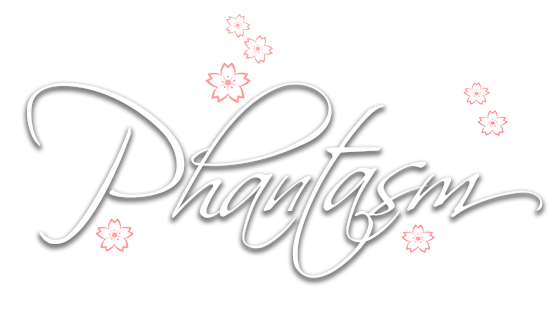 Still, I was invited to blog about some of their new dishes, as well as the all-time best sellers. 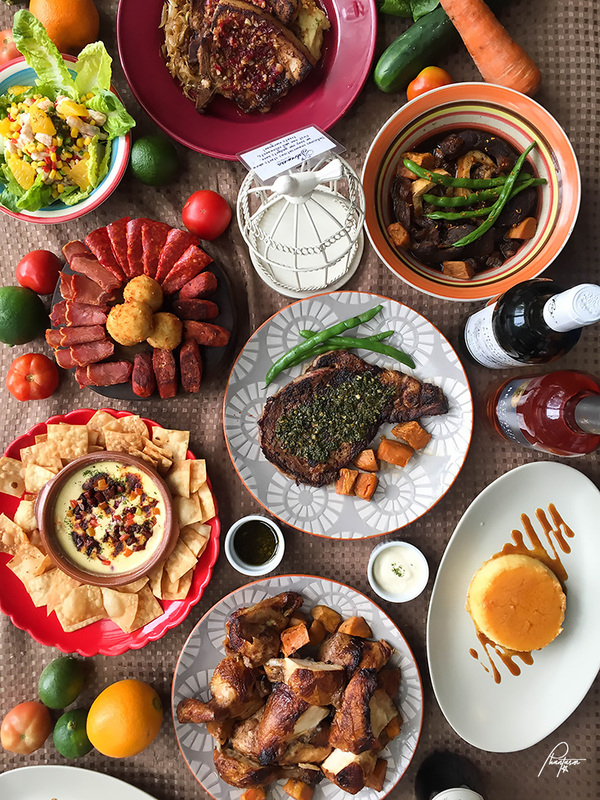 Located at the Sapphire Bloc, Ortigas District, Sobremesa by Chef Benjo Tuason, offers a gastronomic fusion of South American and Filipino-inspired dishes lovingly and meticulously created by him. 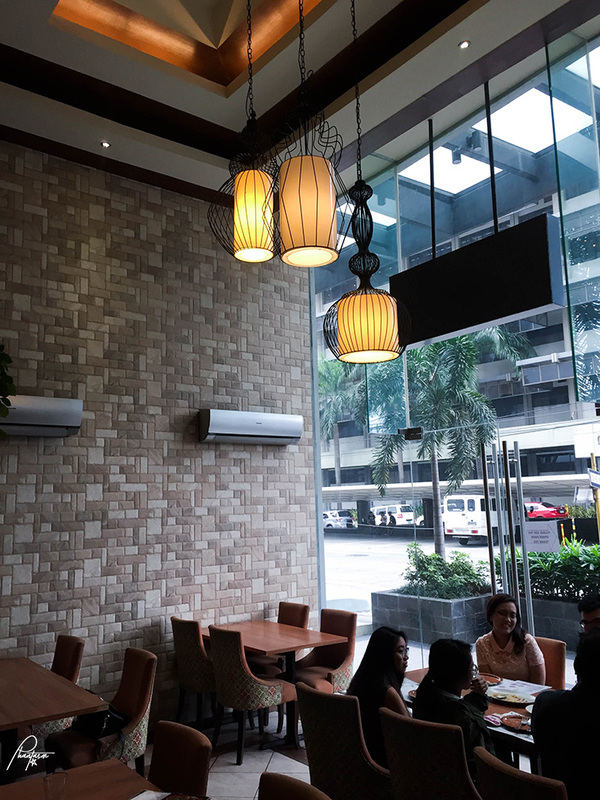 Celebrity siblings Daniel and Vanessa Matsunaga try their hand in the food industry, joining the group of owners of this fresh venture. 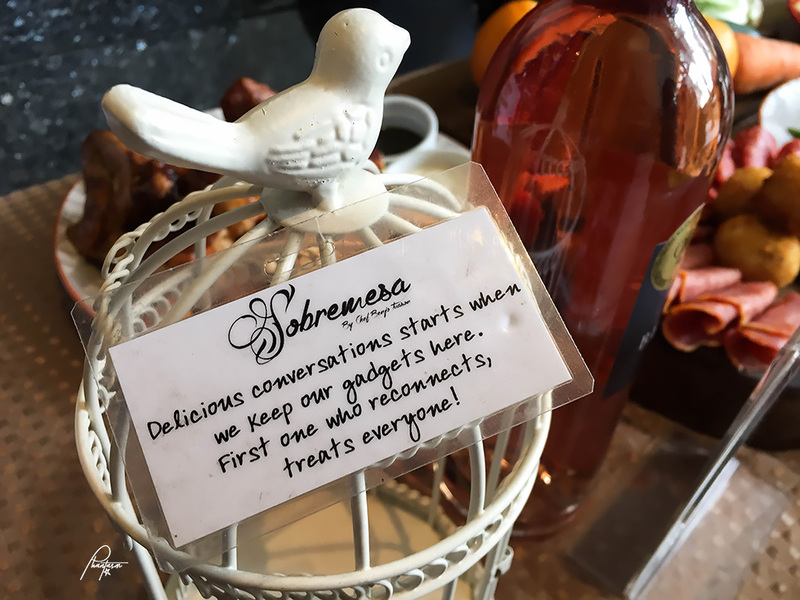 Sobremesa, which in Spanish refers to the time after lunch or dinner spent talking to the people you shared the meal with, delivers its promise of delicious conversations as it offers a wide range of offerings that will suit even the most discerning palate. A highlight in their restaurant are the cages placed in the middle of every table for the customers to put and lock their mobile phones inside. A way to reconnect with the people we dine with. 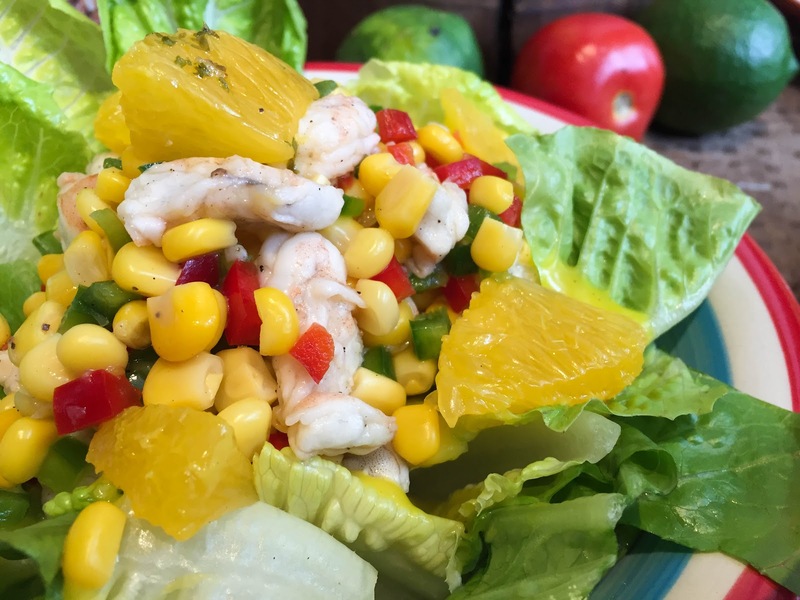 Shrimp Ceviche Salad. I like how it is slightly sweet and gives you that light feeling. 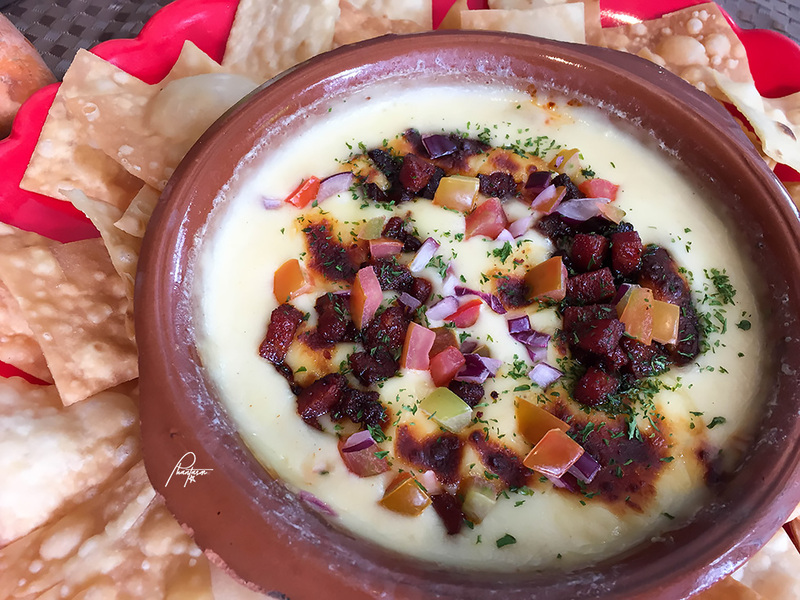 Queso Fundido. 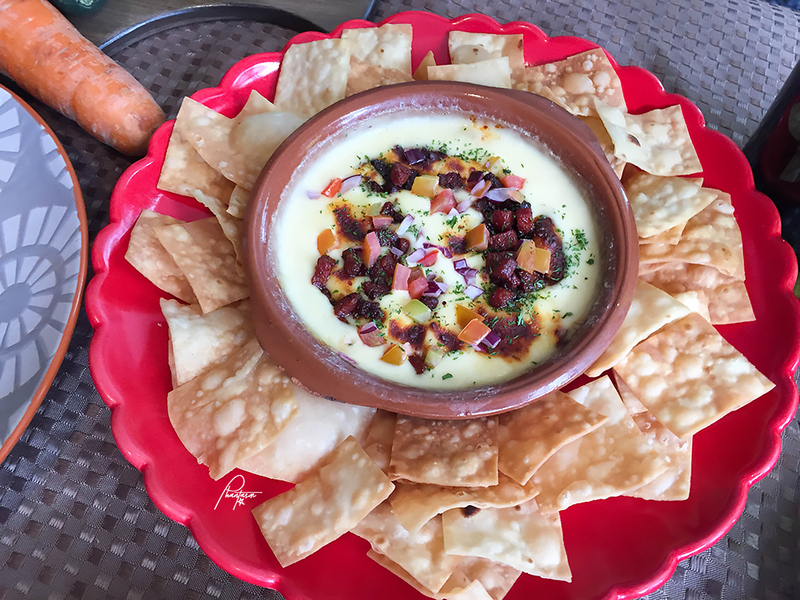 A good appetizer that is best eaten while hot. Otherwise, the cheese dip would start to harden. Cured Meats Selection. 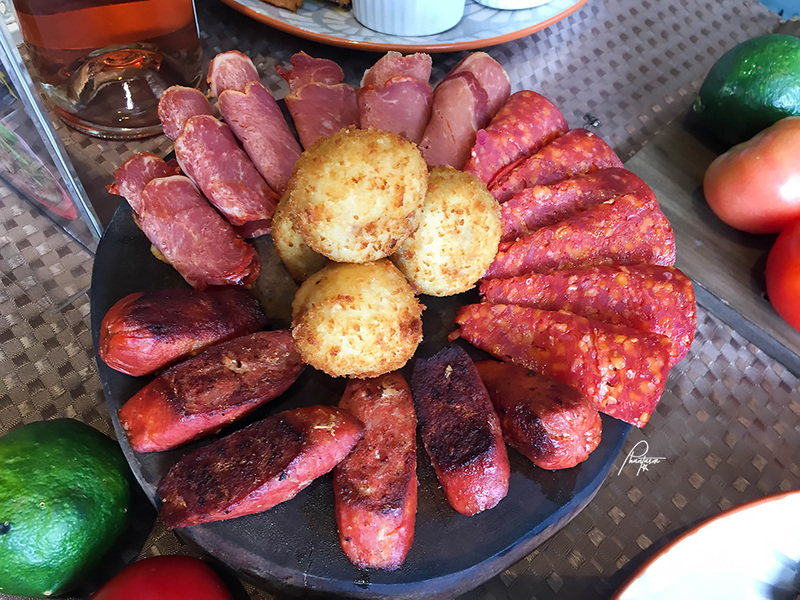 Chorizo Pamplona, Salchicon, Vela de Lomo, Chorizo de Bilbao. Ham and potato balls in the middle, are my fave in this plate. Sorry, not a fan of cured meat. 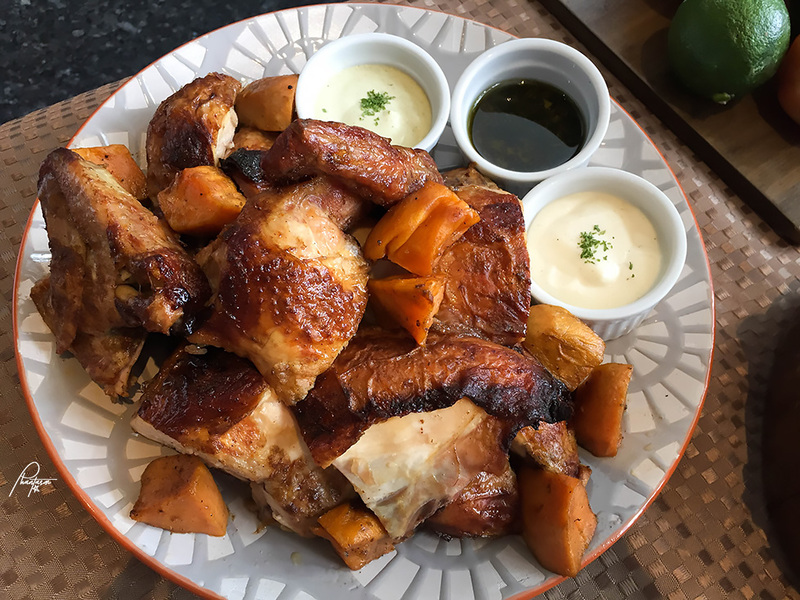 Peruvian Roasted Chicken. Comes with three sauces: Chimichurri, Jalapeno and Coriander, and Garlic Yogurt. I'm not a fan of spices, but the jalapeno and coriander sauce is so good that I loved it. The chicken was how you would expect roasted chicken to be. Best eaten ala carte or with rice. 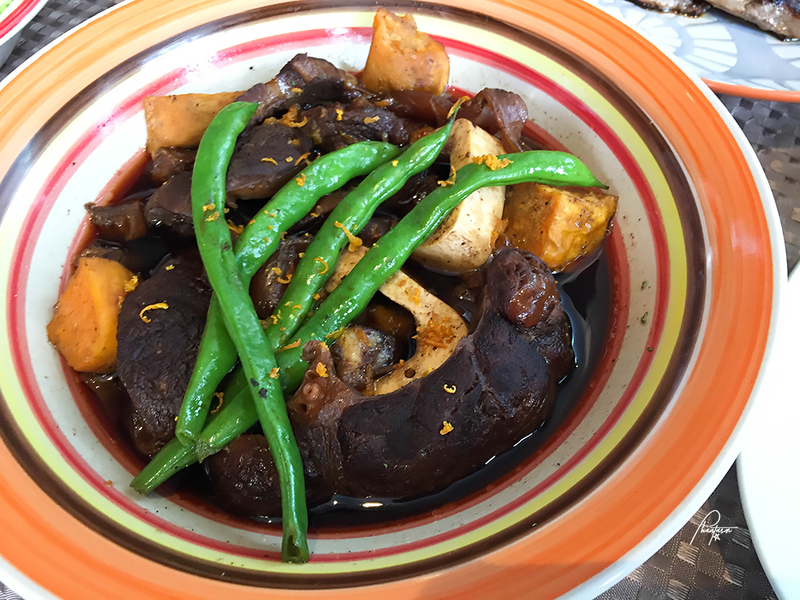 Bulalo Estofado. My favorite dish here. The meat is tender and the sauce had the right sweetness. Made me ask for rice. Australian Rib Eye Steak. 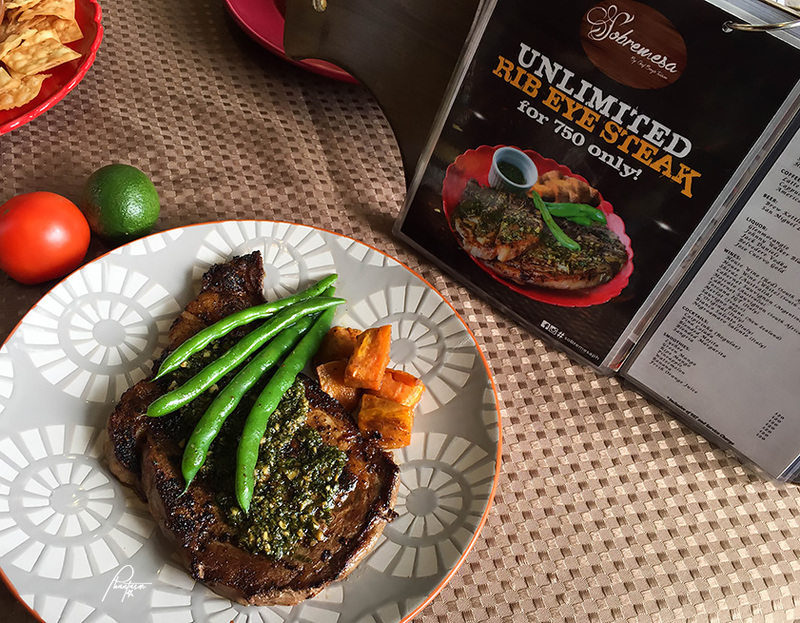 Starting March 1, 2017, they will be offering an unlimited-steak promo for 750 pesos. 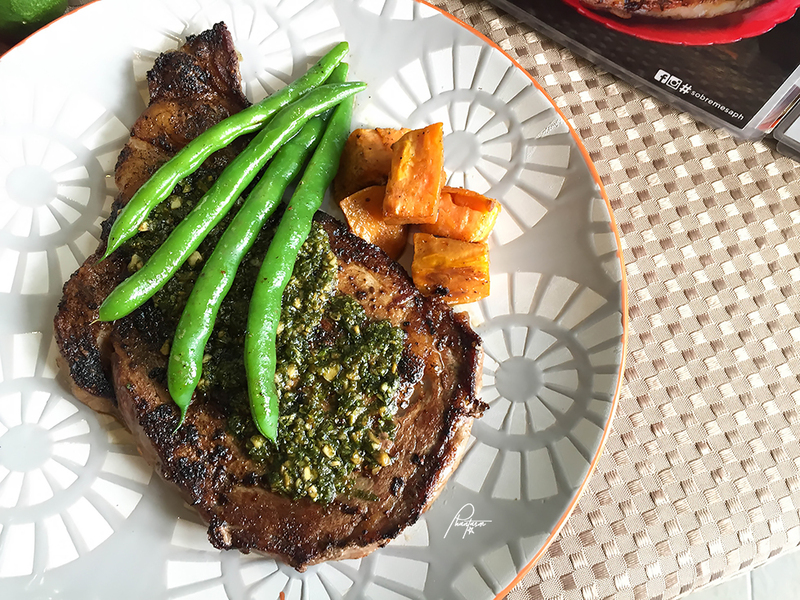 Ala carte order is worth 600 pesos, which you can have in three ways: coffee-crusted, herbed, or salt and pepper rub, served approximately 400-500grams. Both served with savory side dishes. (Until supplies last). 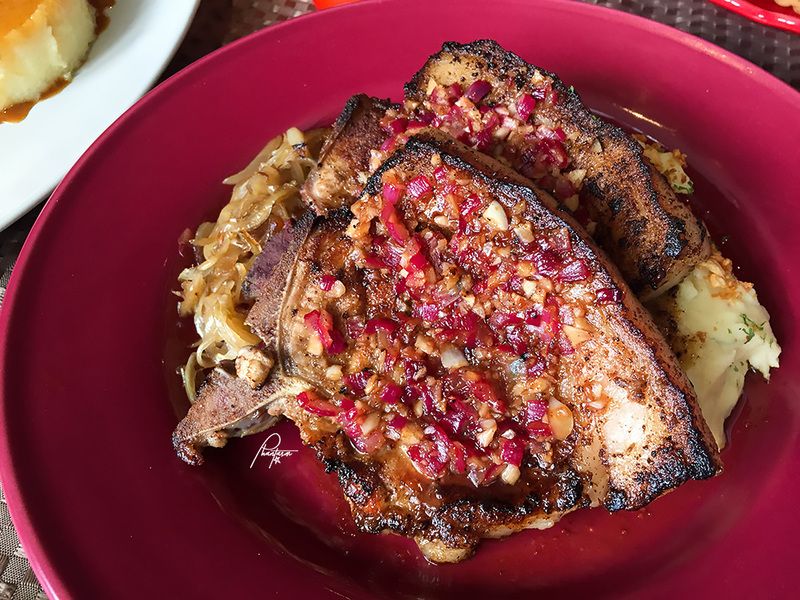 Grilled Meat: Cuban Pork Chop. With garlic mashed potato and caramelized onions. Thick and tender meat. I also love the side dishes. Lecheroon. 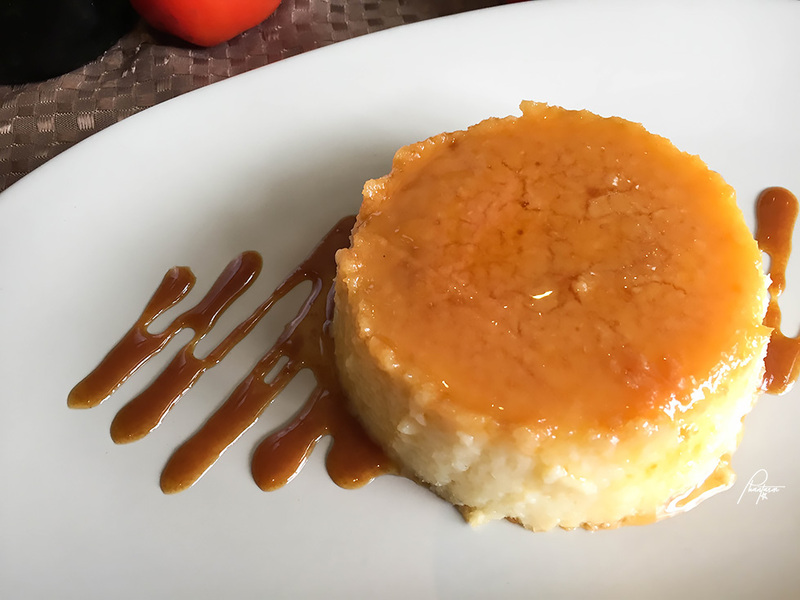 A fusion of the well-loved leche flan and macaroon. Thick, yet soft and sweet. This dish has coconut that gives a very-Filipino texture. Mango Cheesecake. 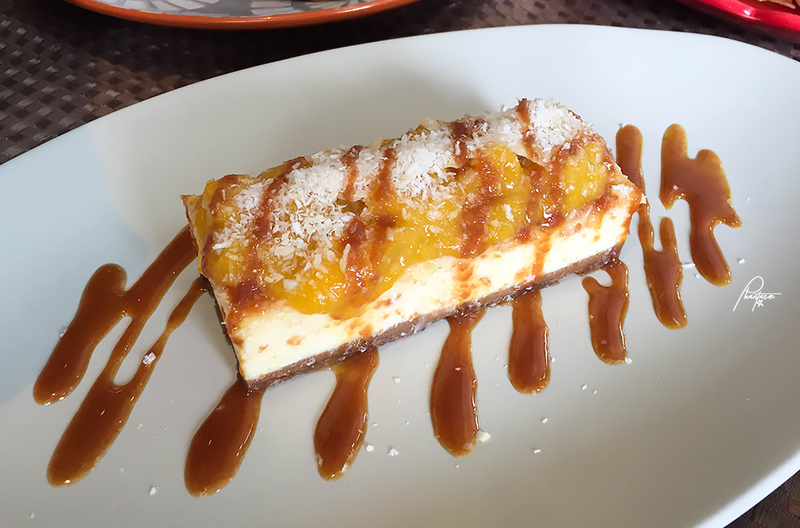 This cheesecake has been on the list of the top cheesecakes in the Metro. Really good taste and texture. 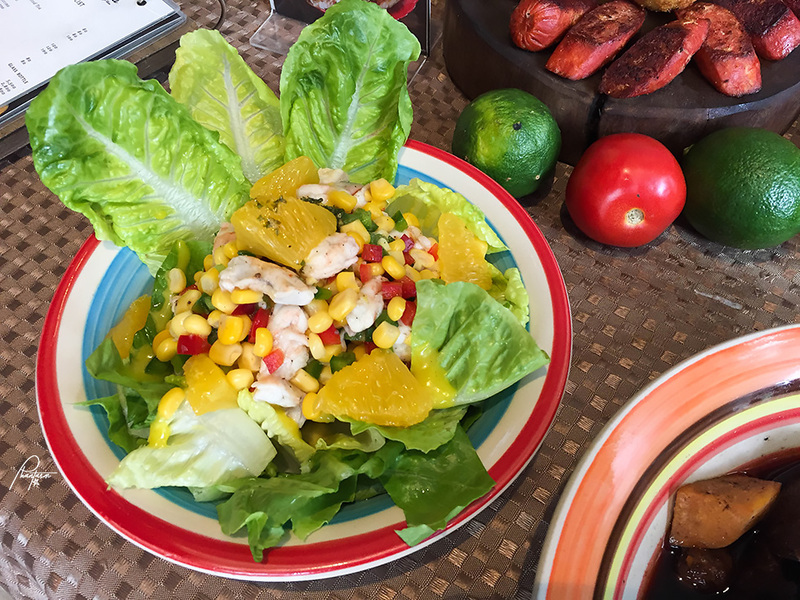 As my usual readers know, I'm a fan of ripe mangoes which always give plus points to a dish. Unfortunately, I hate the texture of shredded coconut, so I had to taste from underneath. I would indulge in this if there's no coconut on top.